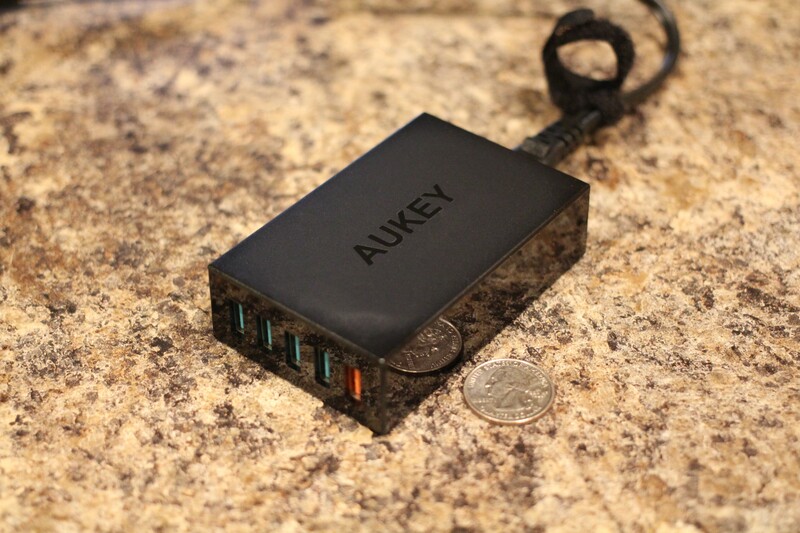 First up in the series is Aukey's lineup of QC 3.0 chargers. Aukey sent me four different QC 3.0 chargers to test, including a single port charger, a dual port charger, a dual port car charger, and a five port charging station. All of the chargers are also backwards compatible with QC 2.0 devices, so if you pick one up you can be sure it will work with your existing devices, as well as your future ones. Let's take a look at them. Packaging is hardly the most important feature of a mobile accessory, but if you are going to be giving a charger as a gift, it's nice to know the box looks nice. Aukey's packaging is a plain and simple cardboard and tag-board affair, but it looks clean, is easy to open, and is also recyclable. The bundled instructions are easy to understand and written in (mostly) good English, not that they matter all that much – I think most of our readers can figure out how to use a wall charger without reading a manual. 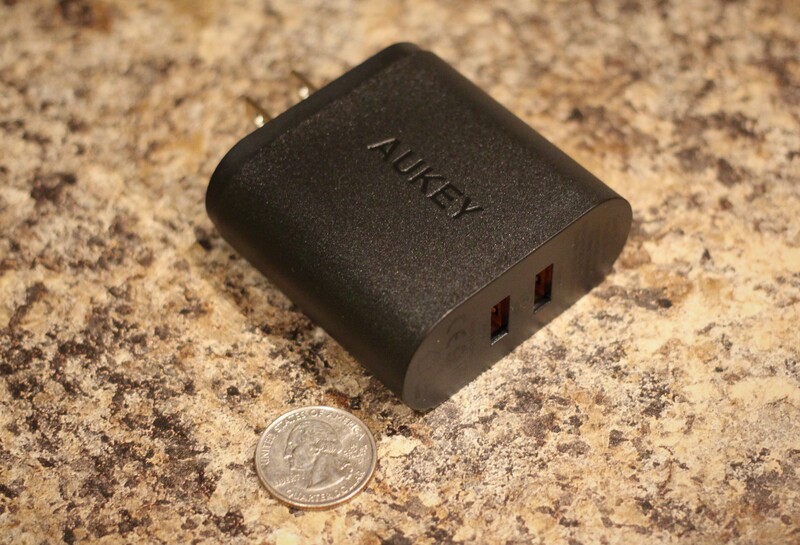 All four Aukey chargers are built of the same sturdy plastic, which doesn't flex or creak. The two smaller wall chargers have a nice matte finish, while the car charger, and the sides of the five port wall charger, have a glossy finish. I prefer the matte surface to the glossy one as it is much less prone to pick up fingerprints and scratches, but the two-tone effect on the five port charger does look rather nice. Each charger is bundled with a 3.3 ft 20AWG micro USB cable. The cord is a little on the stiff side and retains bends even when pulled taut. This is a pretty common issue for these QC compatible cables which, due to their high energy capacity, are fairly thick. Stiffness aside, the MicroUSB connectors are stiff and sturdy and fit snugly and securely in the port of my Sony Z3. QC 3.0 ports are easily distinguished by an orange connector, while the standard 2A ports, present in the car charger and 5 port charging unit, are green. 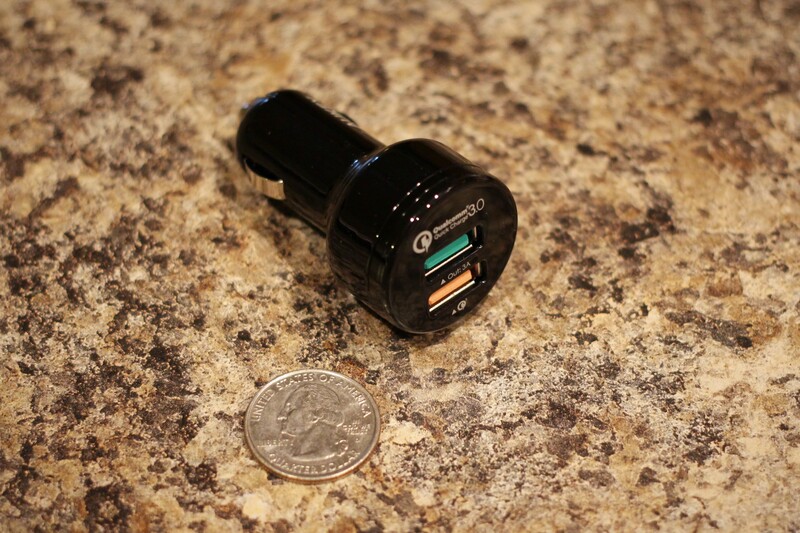 There are no LED indicators of any kind on the chargers to indicate power or charging status. To me that's no big deal, I don't really like distracting LED lights on devices in my bedroom or car, but that may be a feature some of you will miss. All of the chargers, with the exception of the car charger, are fairly large. I've included a quarter in each picture to help you gauge how big each one is. It's definitely something to consider if you carry the charger with you in a purse or a backpack. I've done some quality control testing using a DROK charging system tester on all the chargers. In my testing I found that all four devices delivered 10-15W of power (9V x 1.1 to 1.6A). The power supply fluctuated based on the battery level of my Z3, and was higher with the screen off than on. These are normal results for a QC 2.0 charger – essentially, they work as advertised. Now, here's the rub, I have no way of testing if the chargers work with QC 3.0 devices because I don't own one. The only device currently on the market that supports QC 3.0 is the HTC A9 and I don't know anyone who owns one. That being said, from what I have seen so far, I have no reason to doubt that the chargers will work just fine. After all, QC 3.0 doesn't increase peak power delivery, it just increases efficiency. You can read all about QC 3.0 on Qualcomm's website if you want a more detailed explanation. Once the LG G5 launches I'll try to get my hands on one for testing other QC 3.0 chargers. 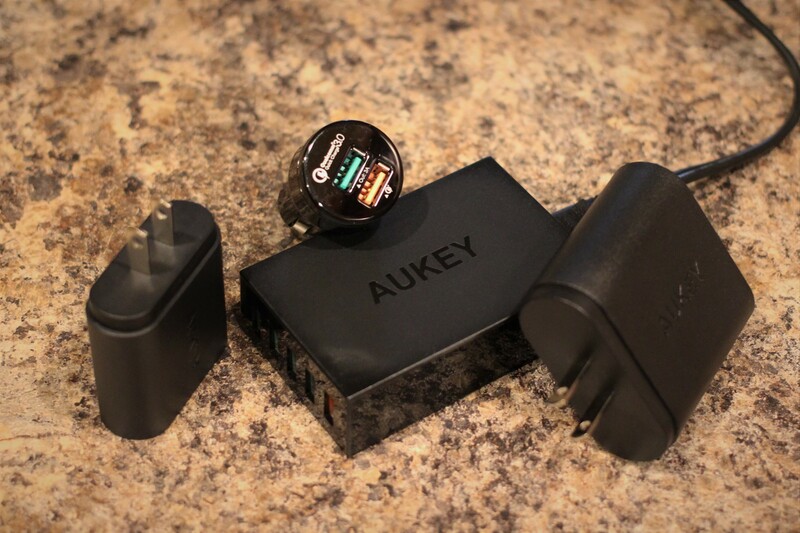 Aukey accessories are backed by an 18 month warranty. If you register your device by following the instructions in the box the warranty will be extended to a full two years. 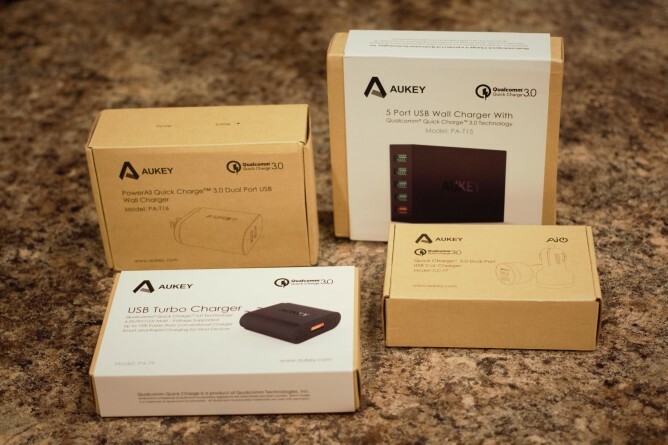 Aukey also has a 30 day worry-free money back guarantee and will provide a free shipping label to return a defective product for the first 180 days. That's pretty solid coverage. 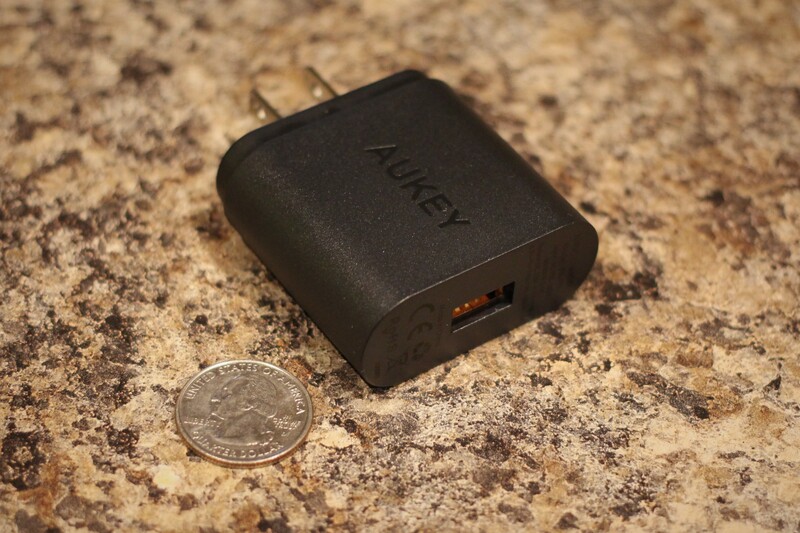 Aukey was nice enough to provide us with some exclusive discount codes for our readers to accompany this review. Here are the links and coupon codes, they are good through the 15th. If you're in the market for a new charger (or two), then you should consider planning for the future by buying one that is QC 3.0 compatible. So guys, since this is a new series, I'd love some feedback. Is this information useful or needed? What did you want to know that I didn't tell you? Which brands would you like me to reach out to for future reviews? Are there any product categories you are particularly interested in? Let me know in the comments below.